In June 2016 I started teaching a workshop with FDA-recognized curriculum. Everyone was there to get a certificate as a Preventive Controls Qualified Individual (PCQI). After a day of training, someone asked, “What is FSMA?” Much to my own surprise I could not succinctly articulate the extent of FSMA nor did the curriculum do a great job of summarizing FSMA. After much research on the FDA and Federal Register websites, I have this summary for you. 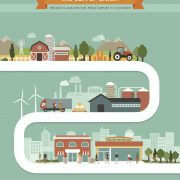 FSMA is the federal Food Safety Modernization Act, signed by President Obama in January of 2011. 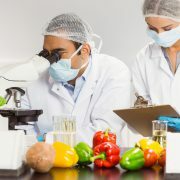 The purpose is to ensure the U.S. food supply is safe by shifting the focus from responding to hazards to preventing them (https://www.fda.gov/Food/GuidanceRegulation/FSMA/). I now understand there are seven foundation rules with FSMA, all under the jurisdiction of the FDA. All seven rules were published from September 2015 to May 2016 with unique compliance dates. Most of you reading this are going to want information on the rule for the manufacture of human food. 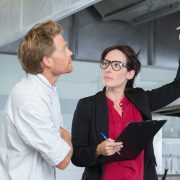 The preventive controls for human food final rule requires a written food safety plan, record-keeping, a recall plan, and oversight by a PCQI. A future blog will detail the role of a PCQI. FDA actually calls large businesses “other businesses.” That is because the large businesses by definition are not small, very small, qualified facilities, or subject to the Pasteurized Milk Ordinance. All of these have compliance dates beyond September 2016. Small businesses have a compliance date of September 2017 and are defined as having fewer than 500 employees. Therefore, “other businesses” have more than 500 employees. Very small businesses have a compliance date of September 2018 and are defined as having less than $1,000,000 in annual sales and holdings. By default, very small businesses have fewer than 500 employees. With only $1,000,000 in revenue, that makes sense that the business employs fewer than 500. Very small businesses are qualified facilities. Having a designation as a qualified facility exempts the facility from the hazard analysis, preventive controls and supply chain requirements. This is a big deal. The business is still required to follow Good Manufacturing Practices, provide attestations in support of their status, provide evidence of oversight and compliance in their location, maintain records, and provide evidence of status annually. Even though a qualified facility is not required to conduct a hazard analysis and identify preventive controls for those hazards, the qualified facility is required to state how they are controlling hazards in their process. In other words, what is the qualified facility doing to make their product safe for the consumer? If a very small business believes they are a qualified facility, their status records must already now be in place. Businesses subject to the Pasteurized Milk Ordinance (PMO) have a compliance date of September 2018. These grade A milk processors come into compliance after the next revision of the PMO is published. The PMO will include elements of preventive control requirements. This is the animal food rule. In the same way that food for human consumption must be made in a safe manner, the diverting of human food to animal food and the production of animal food must be done safely. This is the import rule. To see descriptions of who has later dates, go to this FDA document at https://www.fda.gov/Food/GuidanceRegulation/FSMA/ucm517545.htm. This is the produce rule. When? Produce growers with more than $500,000 in annual sales must be compliant starting in November 2017. Small businesses with annual sales between $250,000 and $500,000 must be compliant November 2018. Very small businesses with annual sales between $25,000 and $250,000 must be compliant November 2019. Due to high risk, sprout growers must be compliant in November 2016, with small and very small sprout growers compliant in November 2017 and 2018, respectively. 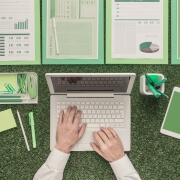 Growers may have modified compliance dates for parts of the rule including water quality standards, testing and recordkeeping; labeling; or retention of records supporting eligibility for a qualified exemption. Many commodities are exempt from parts of the rule due to the nature of the crop. This is the audit rule. When? The rule was published November 2015. The Model Accreditation Standards when published will include FDA’s final recommendations on third-party auditor/certification body qualifications and incorporate requirements. Thereafter, auditors will be able to apply for FDA recognition. 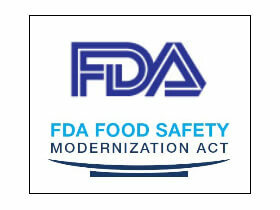 See the draft guidance for the Model Accreditation Standards at https://www.fda.gov/Food/GuidanceRegulation/GuidanceDocumentsRegulatoryInformation/ucm455328.htm. This is the transportation rule. Motor carriers employing fewer than 500 persons and having less than $27.5 million in annual receipts must be compliant in April 2018. This is the intentional adulteration rule. When? This being the last of the rules was published in May 2016. The first compliance date is May 2019. 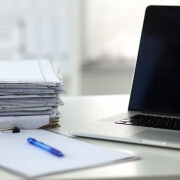 Small businesses employing fewer than 500 employees must be compliant in May 2020. 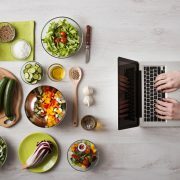 The definition of the very small business is annual sales and holdings less than $10,000,000 and not $1,000,000 as defined in the preventive controls for human foods rule. 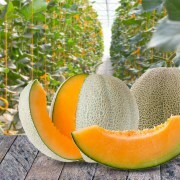 The very small business must be compliant in May 2021.
https://connectfood.com/wp-content/uploads/2016/11/FDA_FSMA_act1-2.jpg 210 280 Matthew Botos https://connectfood.com/static/graphics/ConnectFood_logo_food_safety_plans_made_easy-300.png Matthew Botos2016-11-05 01:08:492017-03-30 18:25:57What is the Food Safety Modernization Act? If I Am Compliant with a Third-Party Audit, Am I FSMA-Compliant? Senator Durbin and Governor Rauner Talk Importance of Locally Grown Food Do I really need a food safety plan?